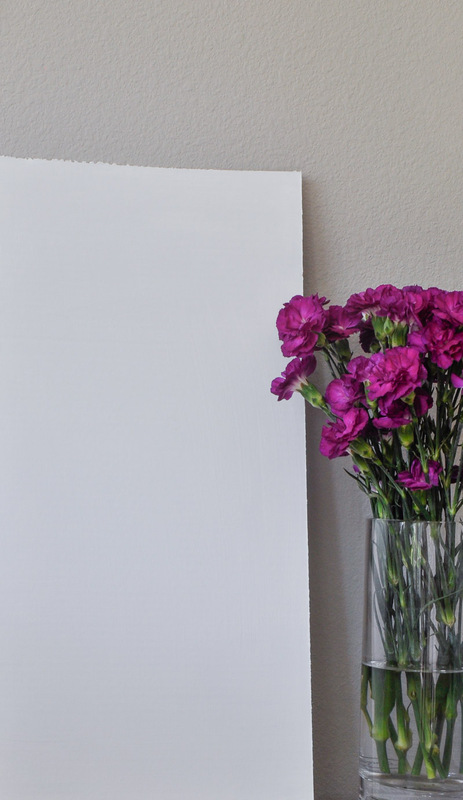 Freshly painted walls can make a huge impact in your home. And now, possibly more than ever, walls adorned with white paint seem to be the choice of most designers. So, what are you waiting for? (You can read what made us wait so long HERE). Perhaps the fear of choosing the wrong shade has you paralyzed. 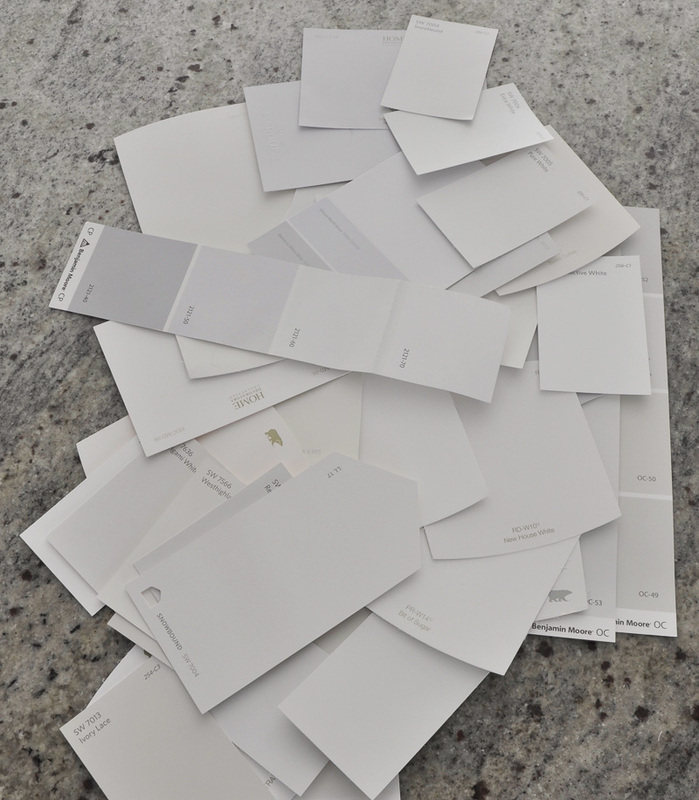 Choosing the right white paint can be intimidating. 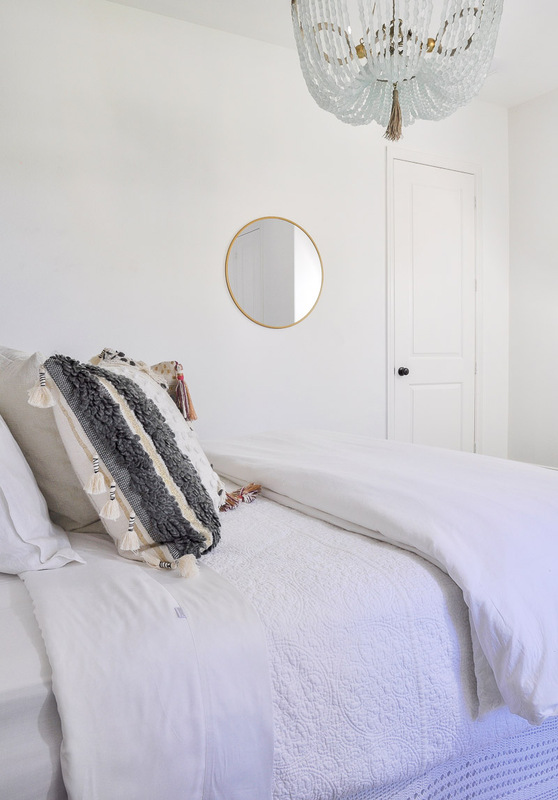 Before taking on our latest painting project, I had already painted our guest bedroom Simply White. I love the way it came out and could not be more happy with my paint selection. Needless to say, I thought I was done and Simply White would continue throughout our home, right? Wrong! That would have been the easy path for sure. However, it’s very important to look at each area individually and make sure your paint selection is the right fit for all of the spaces you plan to include. There are several things to consider and today, I want to share them with you. First of all, decide how your paint will affect the other elements in the room. Will you need to paint the ceilings? What about the moulding? Furthermore, everything will look different with new paint, so just be prepared to take that into consideration. Start with paint chips, or strips and get as many as you like. Paint will ALWAYS looks different in your home than it does in the store. Therefore, don’t be shy about grabbing chips of each of the shades you think might work. No need to get testers yet. Now you will want to narrow down your choices and hang your selections on the wall. Painters tape works great. It’s important to leave them for at least one full day. Why? Because lighting makes a huge difference as to how the paint will look. If possible, it is helpful to look at them when it’s sunny and when it’s overcast. In addition, you should also move your paint chips around the room. And again, they must be applied to the wall. Narrow down your choices further and head back to the paint store. Now it’s time to pick up a tester (or more than one tester). Grab a quart if there is not a tester available. Paint a large sample board. The larger, the better. 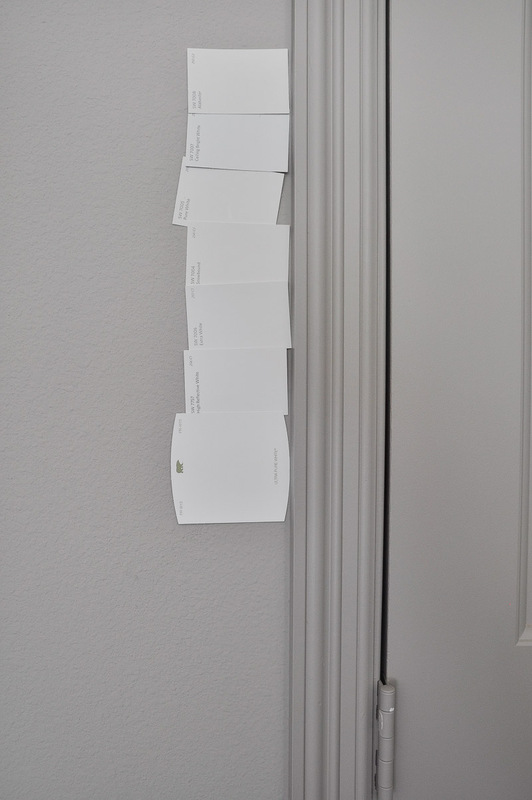 If you are certain you will be painting once you choose a color, you can paint your sample on the wall. Either way, like you did with the tiny paint chips, look at your sample for at least a full day so you can make sure you like it as much at night as you do during the day. Finally, feel confident and go for it! If you will be painting the trim moulding and ceiling as we did, I recommend painting them the same shade of white as you chose for the walls. The ceiling and walls should be a matte or eggshell finish and the trim should be satin or semigloss. Personally, I prefer satin. But, each provides a nice contrast to the walls. 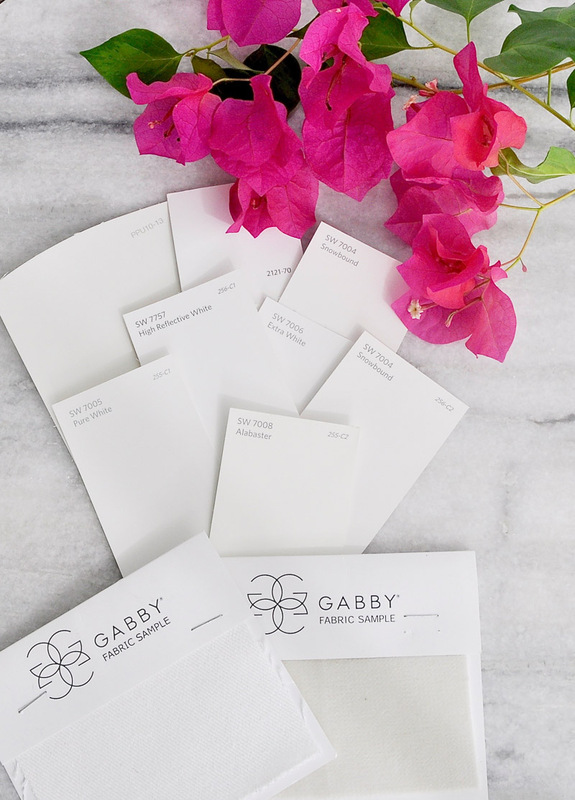 In conclusion, here are some beautiful finds for the popular white on white look. To shop or learn more about an item, just click on the image.